In every issue we aim to bring our subscribers some of the best in Quaker writing today, to illuminate, educate and inspire. 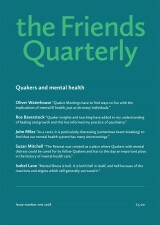 The Friends Quarterly offers substantial articles by experts in their field, dealing with issues affecting Friends, current topics of concerns to Quakers and thorough analysis of many aspects of Quakerism. 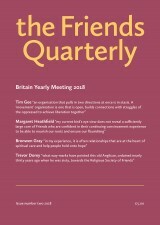 Britain Yearly Meeting special issue. You can join us as a subscriber for just £20 a year in the UK or £22 overseas. 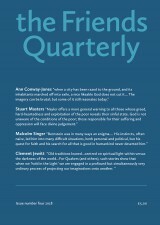 We will send you the Friends Quarterly four times a year. 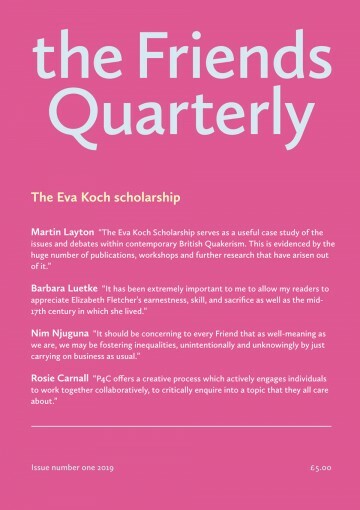 If you are already a subscriber to the Friend and would like to add the Friends Quarterly, please contact us on 0207 663 1178. 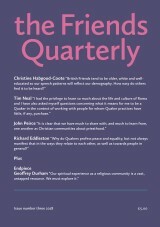 The Friends Quarterly carries serious, thoughtful and spiritual articles about Quakerism and matters of interest to Quakers. These pieces are longer than those in the Friend, typically between 2,000 and 4,000 words. Many arise from the author’s own studies, but this is not an academic journal as such. Analysis of historical concerns to Friends and current theology sit alongside personal experience and witness. Drafts should be submitted as Word documents, with the very minimum of formatting. They can occasionally include charts or diagrams. Sources and references should be shown as footnotes, using the Word referencing tools. The editor welcomes suggestions for pieces, but naturally cannot guarantee publication until a full draft text is received.